Dramatic recreation of the 1976 hijacking of an Air France passenger plane. On June 27th, 1976, an Air France Airbus carrying passengers from Tel Aviv to Paris was hijacked by two members of the Popular Front for the Liberation of Palestine and two sympathetic members of the German left wing group The Revolutionary Cells while on a stopover in Athens. The plane was diverted to Uganda's Entebbe airport, where with the cooperation of Ugandan dictator Idi Amin, the hijackers demanded that Israel free 50 Palestinian prisoners in exchange for the lives of the Jewish passengers. A week later, Israeli soldiers stormed the airport, killing the hijackers, along with scores of Ugandan troops, and rescued all but four of the hostages. The events of that week have been dramatised on screen several times before. Within six months of the event itself, two all-star TV movies aired on US networks - ABC's Victory at Entebbe, starring Anthony Hopkins, Liz Taylor and Richard Dreyfuss; and NBC's Raid on Entebbe, starring Peter Finch, Charles Bronson and Yaphet Kotto. In 1977, Cannon Films supremo and proud Israeli Menahem Golan directed the considerably more propagandist Operation Thunderbolt, later reworking the events of Entebbe for his '80s action hit Delta Force. 2006's Idi Amin drama The Last King of Scotland climaxes with the siege at Entebbe. 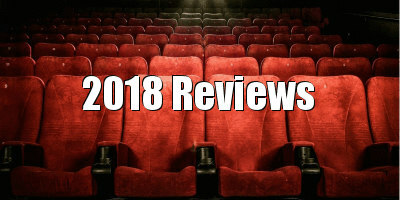 The three previous movies based solely on the event itself all adopted a stance that was very much behind the actions of the Israeli authorities, displaying no sympathy for the hijackers. 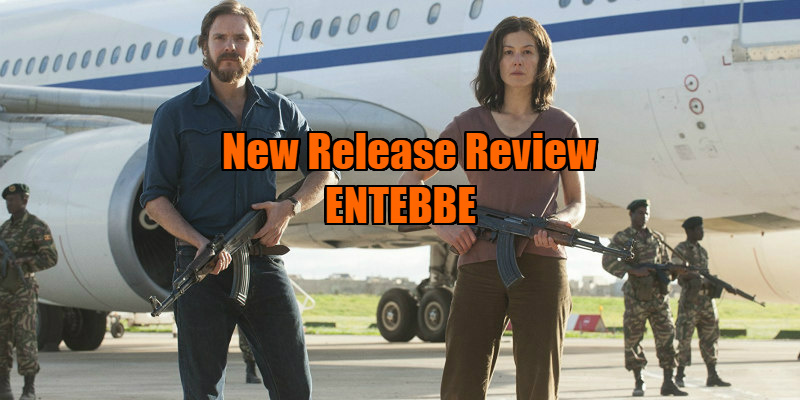 José Padilha's Entebbe, scripted by Gregory Burke, seeks to deliver a more nuanced and neutral take on the scenario, but in its attempt not to offend either side, it ends up offering much that viewers will find distasteful and tone deaf, regardless of where you stand on the Arab/Israeli conflict. Burke previously penned the Northern Ireland 'Troubles' set thriller '71, which viewed that conflict through the eyes of a young English soldier. Adopting a neutral stance, that film made both the Catholic Republicans and Protestant Loyalists of Ulster seem like brutal monsters, its naive hero caught up in a conflict that appears senseless to him, negotiating the streets of war torn Belfast like a video game avatar running through levels. With Entebbe, Burke adopts a similar approach, making one of the German terrorists, Daniel Brühl's Wilfried Böse, the central protagonist of his story. We spend considerably more time with Böse than with any of the many other players in this drama as he finds himself torn between wanting to help the Palestinians and struggling with the idea of killing Jews. Strangely enough, this all seems to only dawn on him once the events are set in motion, despite him having spent the previous year meticulously planning the operation. Entebbe is desperate to put us in Böse's mind and become sympathetic with him, despite him being a well off, secular European whose political appropriation of a foreign cause would ultimately lead to the deaths of a lot of Jews, Arabs and Africans (a genocidal campaign against Kenyans living in Uganda was launched by Amin in retaliation for Kenya's cooperation with Israel). "How will it look if we as Germans murder Jews?," Böse asks his considerably less nuanced companion, Brigitte Kuhlmann (a badly miscast Rosamund Pike - were no German actresses available? ), portrayed here as a deranged, cartoonish sociopath who displays no such qualms about killing for her adopted cause. Rather than positing the audience to worry about the safety of Böse's potential victims, Padilha and Burke would rather we directed our concern to the ideological struggle of this nice but misguided white boy. The film's portrayal of Palestinians and Israelis is by contrast, decidedly one-note. The Palestinian hijackers are straight out of terrorist central casting, and could easily be swapped out with the villains of Delta Force, while Eddie Marsan's turn as Israel's defence minister Shimon Peres recalls the sort of weaselly Zionist caricatures of Nazi propaganda films (were no Israeli actors available?). 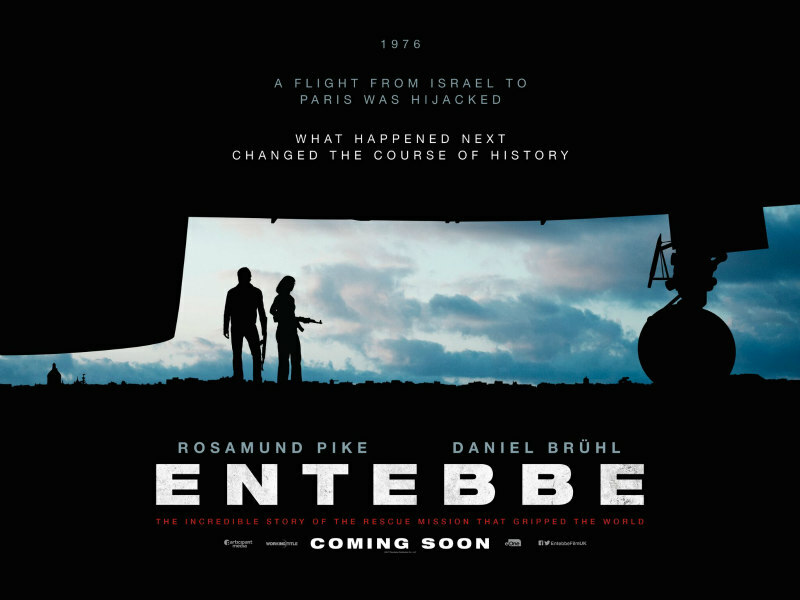 The events of Entebbe in that summer of 1976 were so far reaching that it would probably take a TV mini series to fully explore the scenario in any real depth, but Padilha's film doesn't help itself by wasting time on pointless subplots like the dancer girlfriend of one of the Israeli soldiers, which seems to exist solely so Padilha can homage The Godfather III in his film's climax, cutting between the siege and an interpretative dance number in the film's most eye-rolling sequence. Too many crucial perspectives are denied a voice in Entebbe, and with the movie's moments of noble heroism only gifted to its white European characters - a Catholic nun offers to stay with the Jewish hostages; the Air France crew refuse to leave without their passengers; Bose ignores the orders of his Palestinian comrades to open fire on defenceless hostages - it somehow manages to mine a white saviour narrative from a real life tragedy instigated by European arrogance and ignorance. Entebbe is in UK/ROI cinemas May 11th.